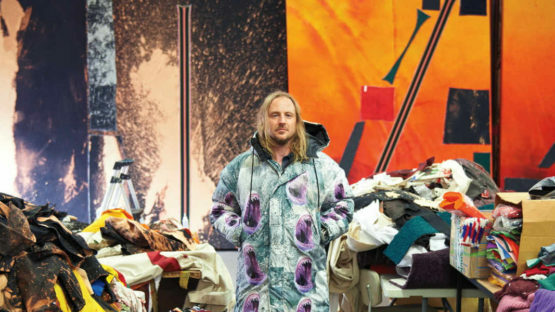 The terms disruptions and chaos seem to describe the best art of Sterling Ruby since his large body of work is well thought and wisely built hybrid. The fascination with various social phenomenon from subcultures, over difficult mental states like paranoia and schizophrenia, to globalization, is notable and contributes to the artist’s peculiar aesthetic of landfill, defaced artifacts. Therefore, those works are some form of the anthropological survey, primarily focused on the notion of abjection and alienation and are critically inclined, mainly, towards consumerism. 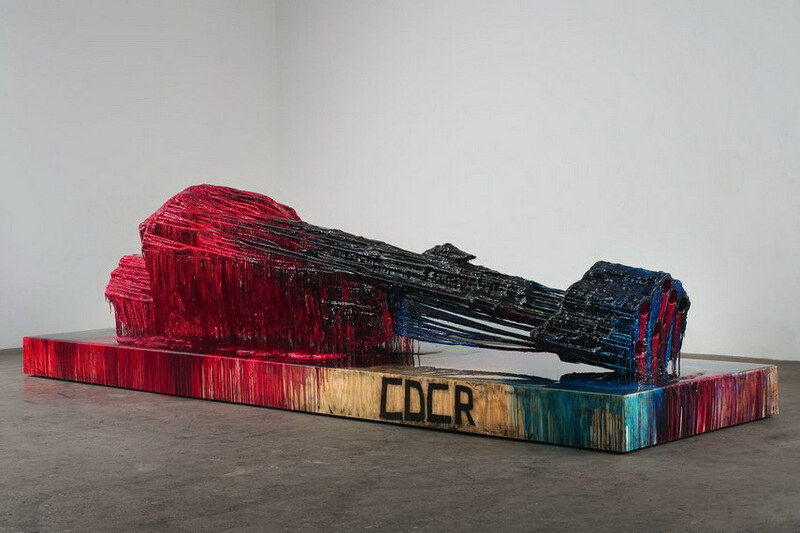 Sterling Ruby was born in 1972, on an American military base in Bitburg, Germany. The family relocated to the United States shortly after his birth, first to Baltimore, Maryland, and then to the rural town of New Freedom in Pennsylvania. There he attended the Kennard-Dale High School, and after graduation, Ruby has started working on construction sites in Washington D.C. Nevertheless, he attended The Pennsylvania School of Art and Design. In 2001 he received a BFA from the School of the Art Institute of Chicago and simultaneously with that the artist worked for the Video Data Bank, then under the direction of Kate Horsfield. After two years, Ruby moved to Los Angeles in order to attend the MFA program at Art Center College of Design in Pasadena, California. Interestingly, while at Art Center he studied with artists Diana Thater and Richard Hawkins, and theorists Sylvère Lotringer and Laurence Rickels. While attending graduate school at Art Center he was the teaching assistant for artist Mike Kelley. The surrounding was extremely stimulating and additionally supplied him with important theoretical knowledge. The artist embraced the city and settled there with a studio located in Vernon, south of downtown Los Angeles. The artist is known for working in a large variety of media including ceramics, painting, drawing, collage, sculpture and video. Usually, all of those elements form peculiar and densely packed installations. Since he uses strange and discarded materials like saturated, glossy, poured polyurethane, textile or nail polish, it can be said that Ruby performs some kind of recycling process. Although the artist is operating with sculptures, drawings, collages, ceramics, paintings, photography, video, and textile as well, perhaps the strategy he uses can be found somewhere in between Duchamp’s ready-made and object art of French Nouveau realism. 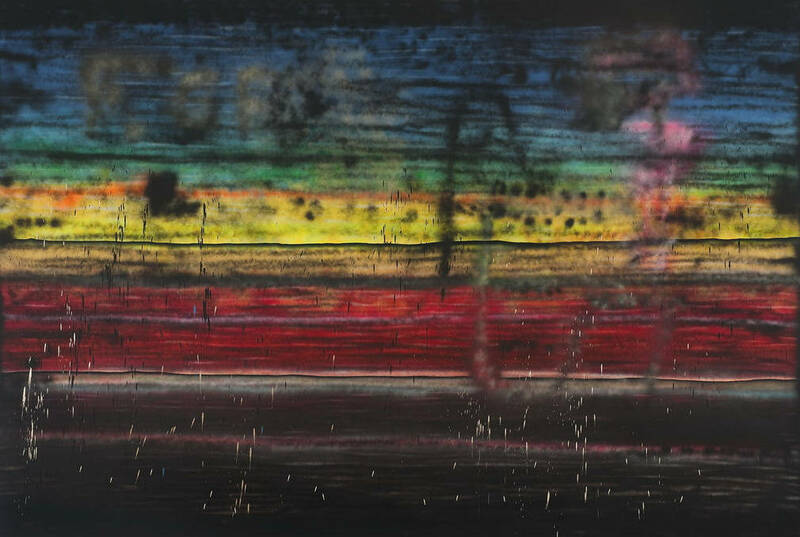 Nevertheless, besides working with traditional media, Sterling Ruby has been successfully using video and photography. Due to the previous experience of working at Video Data Bank in Chicago, many of the artist’s video works are distributed by them. 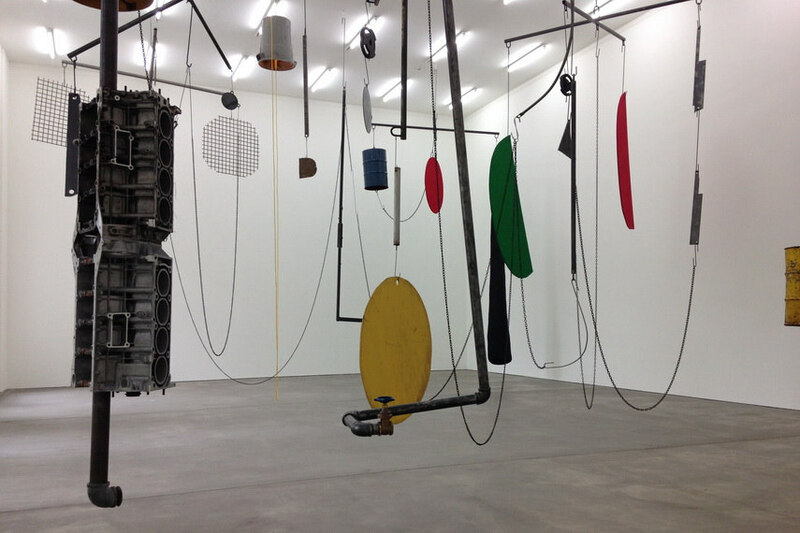 In one point of his career, the artist’s has introduced a series of soft sculptures. Namely, they are made from fabric stuffed with fiberfill and presented in the form of large, doubled vampire mouths with fabric blood drops that hang from their fabric teeth. 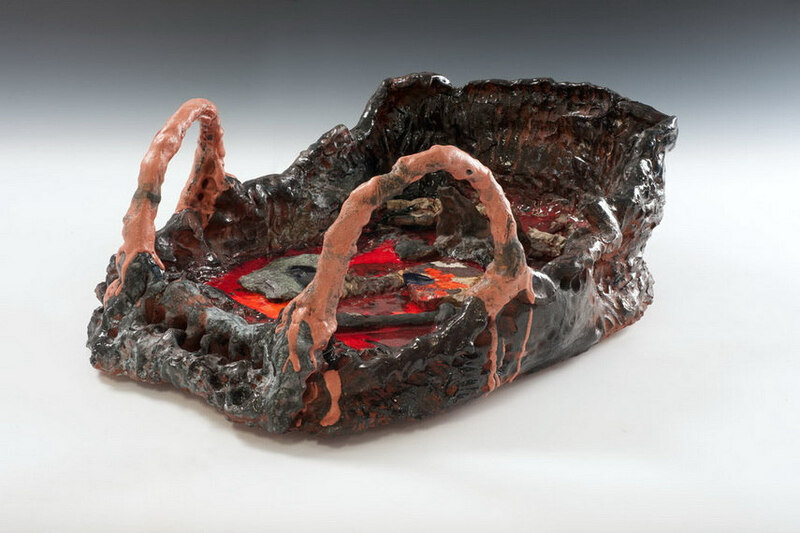 On the other side is Sterling Ruby’s ceramic work which is reminiscent of California craft movement and German hot lava vessels from the 1970s as well as by the amateurish biomorphic shapes made in an art therapy class. These DIY looking forms feature thick, vivid glazes and charred and gouged surfaces resembling baskets, vessels, or body parts. The collage plays an important role in the artist’s prolific and interdisciplinary practice. The approach to this media is perhaps the most distinct since the formal and thematic concerns are reflected by an exhaustive range of subject matter which is developed over the course of a number of years. Besides collages, the notable role does have the series of poured urethane sculptures titled Monument Stalagmites. Vibrantly colored, these rather tall sculptures, resemble the stalactites and stalagmites that can be found in caves. The pieces are created described as monumental gestures by the accumulation and pouring of a quick drying polyurethane over an underlying armature. In 2012, a series of fully functional stoves of the artist’s own design were produced. These stoves, executed in bronze, cast iron or steel, were based on the kind of cast iron stoves found in farm houses. A year later, the artist installed a 17-foot tall STOVE in during Art Basel; it was lit at the beginning of the fair, and a fire was maintained in the stove during the run of the fair. 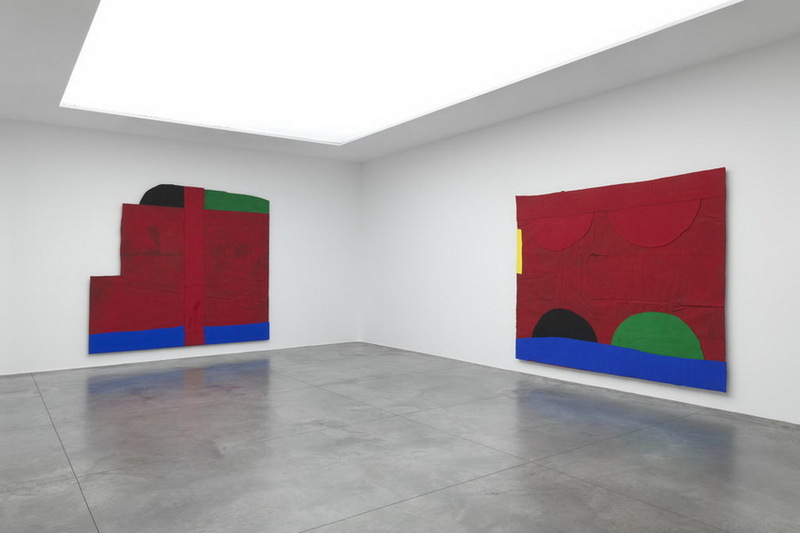 Then, in 2014 Ruby exhibited Flags, monumental textile works which often resemble the American flag. The artist designed a large-scale quilt that served as a backdrop for the traveling performances of the L.A. Dance Projects: Murder Ballades. In 2005, the Belgian fashion designer Raf Simons visited Ruby’s studio after seeing his works for the first time. Namely, Simons was dazzled with his ceramics, resembling colored placentas, and bought on though knew nothing about the artist, while the artist knew even less about Simons, a former industrial designer who had become the most influential man in men’s wear. 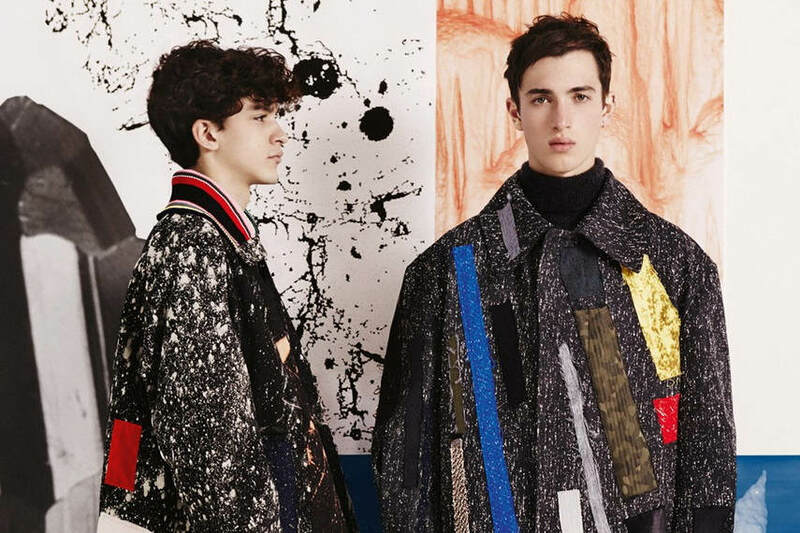 Simons referenced Ruby’s paintings in his debut haute-couture collection for Christian Dior in 2012, while in 2014, Ruby created sacks out of stuffed American flags, similar to ones he has made in his sculptures, for Simons’s Paris Fashion Week show. The collaboration is an ongoing journey for both artist’s since they’ve met. The astonishing production is framed with innovation and wit. 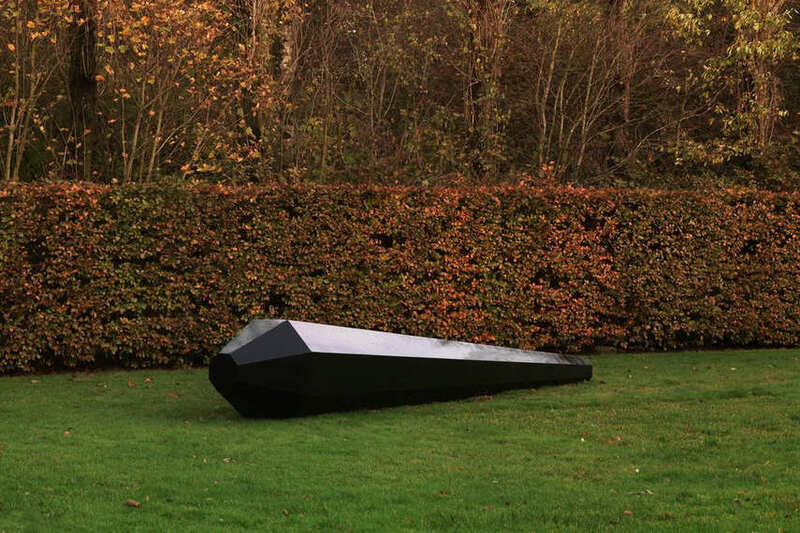 During the years, Ruby has shown his works in galleries and museums around the globe. Around 2008, the established art critic Roberta Smith allocated him as the most interesting artist of 21st century undermining that his work examines the psychological space where individual expression confronts social constraint. 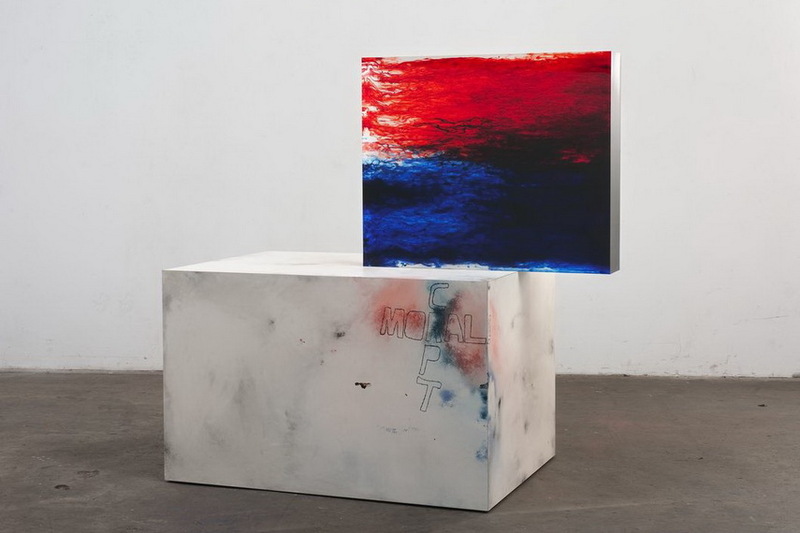 By absorbing various alternative influences, refereeing to an art history momentous phenomenon, and interfering with pop culture, Sterling Ruby has made quite an effort to position his art practice as the communication tool not just in the purely aesthetic sense, but in social and political as well. Sterling Ruby lives and works in Los Angeles.